The house was told today that the Credit Counselling and Debt Management AKPK has saved 2 thousand 316 individuals from bankruptcy involving debts of 72.5 million ringgit. AKPK through its specifics programme, provides services such as financial management, rescheduling of loans, credit counselling and financial education for loan borrowers and guarantors who have difficulty paying back loans. Deputy Finance Minister Datuk Dr Awang Adek said this when replying to a question from Bukit Katil MP Datuk Md Sirat Abu. He said until August this year, 196 thousand 14 individuals benefited from the services provided by AKPK.68 percent of those involved were earning less than 3,000 ringgit a month. 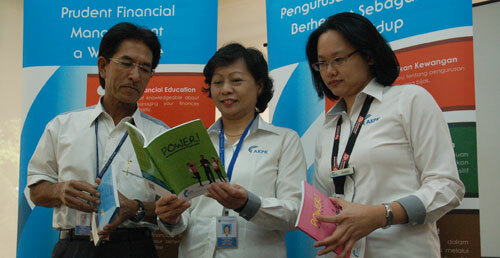 AKPK an agency set up by Bank Negara has started operations since 2006. UP to 68 per cent of the individuals who obtained assistance from the Credit Counselling and Debt Management Agency (AKPK) were those whose monthly income was less than RM3,000, Deputy Finance Minister Datuk Dr Awang Adek Hussin said today. He said 196,014 individuals benefited from the service from AKPK up to August this year. The profile of the individuals showed that 57 per cent of them were under 40, sixty-seven per cent were male, 32 per cent were from the private sector, 48 per cent were self-employed and eight per cent were civil servants, he added. Replying to a question from Datuk Md Sirat Abu (BN-Bukit Katil) in the Dewan Rakyat, Awang Adek said 77,994 people were assisted under the debt management programme whereby they were able to reschedule their loans and avoid being declared bankrupt. "A total of 2,316 were totally successful and exited the programme, their debts paid up totalling RM72.5 million," he said. KUALA LUMPUR (Oct 11, 2012): A total of 77,994 people who obtained assistance from the Credit Counselling and Debt Management Agency (AKPK) under the debt management programme were able to reschedule their loans and avoid being declared bankrupt, Deputy Finance Minister Datuk Dr Awang Adek Hussin said. “A total of 2,316 fully paid up their debts totalling RM72.5 million under the programme,” he said in response to a question from Datuk Md Sirat Abu (BN-Bukit Katil) in the Dewan Rakyat today. Up to 68% of the individuals who obtained assistance from the agency were those whose monthly income was less than RM3,000, Awang Adek said, adding that a total of 196,014 benefited from the service up to August this year. Meanwhile, at Parliamant lobby, Teo Nie Ching (DAP-Serdang) lamented that the government has gone against the recommendations of its Performance Management and Delivery Unit (Pemandu) by delaying the tabling of the Auditor-General’s Report 2011, and by doing so have also denied Members of Parliament the opportunity to raise questions on the management of public funds. Teo said Minister in the Prime Minister’s Department Datuk Seri Idris Jala, as Pemandu head, had during a Government Transformation Plan 2.0 open house on July 24 proposed the report to be tabled in parliament thrice a year, to enable efficient processing and handling of concerns raised in it. “Tabling the report together with Budget 2013 would allow lawmakers to identify spendings with positive results, and other areas that require improvement,” Teo said. Teo who is also DAP’s assistant national publicity secretary pointed out that yesterday was the last day for MPs to debate on Budget 2013 at the policy stage. “From Monday onwards, the ministers will reply to the matters raised. “MPs are not supposed to raise any new issues (after this) but can only seek clarifications, after which we will enter into the committee stage where debates are limited to specific items in the budget,” she said. AKPK, set up by Bank Negara and having started operations in 2006, provides services such as financial management, rescheduling of loans, credit counselling and financial education for loan borrowers and guarantors who have difficulty paying back loans. IT is sad to note the annual hike in bankruptcy cases in Malaysia even though household income is on the rise. Last year alone, 19,167 individuals went bankrupt with motor vehicle hire purchase defaulters topping the list at 5,137. More than 50 people in the country are declared bankrupt everyday and the figure is alarming in view of the rapid economic growth Malaysia is experiencing and the higher spending power the people are now enjoying. There is no definite solution to the problem because debtors come from all walks of life, including even professionals and prominent businessmen. The setting up of the Credit Counselling and Debt Management Agency (AKPK) in 2006 by Bank Negara is a blessing, particularly to those heavily in debt. “We are here to help,” said AKPK Sarawak regional head Marlene Margaret Nichol. She explained the agency’s role is primarily to assist its target group and educate the public on the importance of prudent financial planning and spending. “You have the moral and legal responsibility to pay whatever you owe or you will be liable to go to court and even be declared a bankrupt,” Marlene said on the why people must repay their debts. 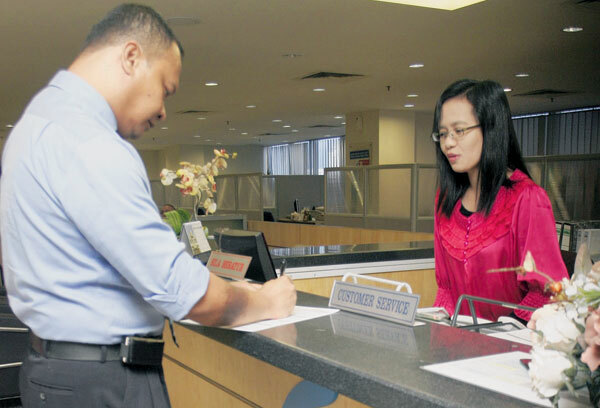 “Many Malaysians are declared bankrupt everyday and most cases are due to credit card debts. This is one of the most common reasons why people approach AKPK for help,” she added. According to her, those eligible for the agency’s programme will be placed under its debt restructuring and management scheme to help them repay unsecured debts due to credit cards, personal loans, car loans and the like at a level affordable to them every month. “We look into their debts and outstanding balances — we have this industrial group working with the banks which help us find the best solution for those who approach us for help,” she explained. Statistics released recently by the Malaysian Insolvency Department revealed a shocking record of 116,379 bankruptcy cases between 2005 and April this year. About 20 per cent of cases involved individuals aged 35 and below, 32 per cent between 35 and 44 and 18 per cent between 45 and 54. Most people got in heavy debts because of poor money management and poor budgetting skills. Whether they like it or not, working adults must have a proper monthly budget because without one, they are unable to track their expenses. Most times, they won’t know exactly whether they could afford things like a fancy car, the latest electronic gadgets or expensive accessories for their vehicles. Being self-disciplined and prudent in spending is one of the best ways to acquire sound financial management skills whereby unnecessary spending is avoided to stay out of debts. Being heavily in debt can ruin people’s lives because it slowly (but surely) causes them to lose their assets and suffer from mental stress and can even strain the relationships between married couples or family members. There are many causes for getting into debt although most people are not aware of them. “We are trying to get the root of the matter and even parents can play a big role in educating their children on the importance of good financial management before they get their first credit card or loan,” Marlene said. Marlene, seconded from Bank Negara to head AKPK in Kuching, said response to the agency’s counselling services had been encouraging although slow at first. She added that the services were also provided in Miri and Sibu. On the whole, cases of people badly in debt are still low here compared to bigger cities like Kuala Lumpur. Perhaps, the living costs locally are still affordable and the temptation to overspend manageable. Marlene said as long as people were willing to follow the agency’s programme and abide by the terms and conditions, AKPK could arrange for repayment of their restructured debts up to a maximum of 10 years. “They can just bank in the monthly repayment to AKPK — they don’t have to deal with the banks,” she said on how debtors could enrol in the agency’s programme to resolve their predicament. People will always have unlimited desires and wants but the painful truth is that most only have a limited source of income. “We have to make the right choices in life and learn to have proper financial planning in order to continue enjoy living within our means,” she advised. KUALA LUMPUR – Keyakinan orang awam terhadap kemampuan Agensi Kaunseling dan Pengurusan Kredit (AKPK) dalam mengurangkan beban pembayaran balik hutang terus meningkat apabila seramai 196,014 individu telah mendapatkan khidmat daripada agensi itu setakat Ogos lalu. Pengurus Besar Bahagian Pengurusan Korporat AKPK, Nor Fazleen Zakaria berkata, daripada jumlah tersebut, seramai 80,664 individu telah menyertai program penjadualan semula pembayaran hutang yang dicadangkan oleh AKPK. Bagaimanapun, katanya, berdasarkan statistik terbaru, punca utama penyusunan semula hutang bukan disebabkan penggunaan kad kredit. Ia sebaliknya berpunca daripada sikap individu terbabit yang berbelanja melebihi kemampuan. “Berdasarkan statistik terbaru, sebanyak 25 peratus atau 20,166 orang terpaksa dijadual semula pembayaran hutang mereka disebabkan berbelanja melebihi kemampuan,” katanya kepada Kosmo! semalam. SERAMAI 196,014 orang sudah mendapatkan bantuan khidmat nasihat dan kaunseling kredit daripada Agensi Kaunseling dan Pengurusan Kredit (AKPK) yang memberikan perkhidmatan kaunseling secara percuma kepada individu menghadapi masalah kewangan sehingga 31 Ogos tahun ini. Timbalan Menteri Kewangan, Senator Datuk Dr Awang Adek Hussin berkata, daripada jumlah berkenaan seramai 77,994 sudah dibantu melalui Program Pengurusan Kredit AKPK dengan pinjaman mereka distruktur atau dijadual semula. “Ini bagi mengelak mereka daripada diperintahkan muflis mahkamah. Seramai 2,316 pelanggan sudah berjaya sepenuhnya dan dikeluarkan dari Program Pengurusan Kredit AKPK membabitkan jumlah hutang RM72.5 juta. “Semua pelanggan yang mendapat bantuan penstrukturan semula pinjaman mereka di bawah Program Pengurusan Kredit AKPK akan dibantu daripada dikenakan tindakan muflis,” katanya menjawab soalan utama di Dewan Rakyat di sini, semalam. Beliau menjawab soalan utama dibangkitkan Datuk Md Sirat Abu (BN-Bukit Katil) yang meminta Menteri Kewangan menyatakan berapa ramai individu berjaya diselamatkan daripada status muflis hasil bimbingan diberikan AKPK Bank Negara. Menjawab soalan dibangkitkan, Dr Awang berkata, kebanyakan pelanggan yang datang ke AKPK adalah pelanggan mempunyai masalah pembayaran jumlah hutang tinggi berbanding pendapatan bulanan mereka. “Ada juga antara mereka mendapat surat tindakan undang-undang. AKPK membantu semua pelanggan terbabit dengan mencadangkan kepada pihak institusi kewangan untuk menerima bayaran balik yang sudah distruktur semula mengikut kemampuan pelanggan,” katanya. Dalam soalan tambahannya, Md Sirat juga ingin mengetahui adakah kementerian bercadang mengadakan satu penanda aras atau kelayakan untuk membuat pinjaman bank terutama mereka yang berdaftar dengan AKPK selepas masalah kewangan dapat diselesaikan. Dr Awang berkata, ketika dalam proses penstrukturan semula, pihak bank mempunyai perasaan tidak senang memberikan pinjaman baru berikutan hutang lama belum diselesaikan dan usaha memulihkan golongan berkenaan sepatutnya tidak menghadapi masalah. KUALA LUMPUR 11 Okt. - Sebanyak 68 peratus daripada 196,014 pelanggan Agensi Kaunseling dan Pengurusan Kredit (AKPK) terdiri daripada golongan berpendapatan di bawah RM3,000 sebulan. Timbalan Menteri Kewangan, Datuk Dr. Awang Adek Hussin berkata, maklumat daripada agensi yang berperanan memberi kaunseling kredit serta pengurusan hutang itu turut mendapati 57 peratus pelanggan terbabit berumur di bawah 40 tahun dan 67 peratus daripadanya lelaki. "Maklumat sehingga 31 Ogos 2012 itu turut menunjukkan sebanyak 32 peratus pelanggan AKPK adalah daripada sektor swasta, 48 peratus bekerja sendiri dan lapan peratus adalah penjawat awam," katanya dalam sidang Dewan Rakyat hari ini. Beliau menjawab soalan Datuk Md. Sirat Abu (BN-Bukit Katil) yang bertanyakan berapa ramai individu yang berjaya diselamatkan daripada status muflis hasil bimbingan AKPK. Menurut Awang Adek, kebanyakan pelanggan AKPK terdiri daripada individu mempunyai masalah pembayaran jumlah hutang yang tinggi berbanding pendapatan bulanan dan ada di antara mereka telah mendapat surat tindakan undang-undang. "Daripada jumlah keseluruhan pelanggan, seramai 77,994 orang telah dibantu melalui Program Pengurusan Kredit AKPK yang mana pinjaman mereka berjaya dijadual atau distruktur semula bagi mengelakkan perintah muflis oleh mahkamah,'' katanya. Kuching: Kewujudan Agensi Kaunseling dan Pengurusan Kredit (AKPK) sering disalah erti sehingga ada yang menganggap badan itu boleh mengeluarkan pinjaman kewangan. Keadaan ini berlaku berikutan hanya 14 peratus rakyat negara ini mengetahui perkhidmatan diberikan AKPK dalam membantu menyelesaikan beban kewangan individu. Ketua Pegawai Eksekutifnya, Koid Swee Lian, berkata agensi itu tidak menyediakan sebarang bantuan kewangan, sebaliknya mampu berunding dengan pihak bank tertentu. “Sehingga penghujung bulan lalu, kita sudah membantu 198,870 individu dan 14 peratus daripada mereka sudah mengikuti program pengurusan kewangan. “Melalui program ini, kita membantu mereka merangka jadual pembayaran, malah AKPK sendiri berunding dengan badan kewangan bagi meringankan beban ditanggung individu ini,” katanya pada sidang media di Pejabat AKPK Kuching, di sini semalam. Sementara itu, Koid berkata, kecuaian tidak menyemak dan mengetahui butiran penyata kad kredit boleh menyebabkan seseorang berhutang dan diisytiharkan muflis tanpa disedari. Ini kerana kebanyakan pemilik kad kredit hanya mengambil tahu tunggakan bayaran yang perlu dijelaskan dan pada masa sama tidak mengetahui mengapa mereka dikenakan caj tertentu. “Pelanggan sering menganggap pegawai bank ‘bijak’ sehingga mereka mematuhi apa saja yang diarahkan. Akibatnya, ada pemilik kad kredit bertindak membunuh diri kerana tidak mampu menanggung beban hutang. “Kita perlu faham pegawai bank mempunyai tanggungjawab mengutip hutang menyebabkan mereka akan memberi tekanan kepada pelanggan bermasalah,” katanya. Beliau berkata, ada kes seorang lelaki yang berhutang RM 17,000 bertindak membunuh diri kerana tidak tahan dihubungi bank setiap hari namun pihaknya hanya dimaklumkan mengenainya selepas kematian lelaki itu. 68-peratus individu yang telah mendapatkan bantuan daripada Agensi Kaunseling dan Pengurusan Kredit (A-K-P-K), terdiri daripada mereka yang mempunyai pendapatan bawah 3-ribu Ringgit sebulan. Demikian menurut Timbalan Menteri Kewangan Datuk Dr Awang Adek Hussin, pada sesi soal jawab di Dewan Rakyat. Lebih 196-ribu individu telah mendapatkan khidmat nasihat dan kaunseling kredit daripada A-K-P-K, sehingga Ogos lepas. 57-peratus daripada mereka berusia bawah 40 tahun. 67-peratus adalah lelaki. 32-peratus dari sektor swasta, 48-peratus bekerja sendiri dan lapan peratus penjawat awam. UP to 3,500 women entrepreneurs have earned at least RM3,500 a month for three consecutive months under the "End the Poverty" 1Azam programme when it was launched in 2010 until Aug 31, the Dewan Rakyat was told yesterday. Deputy Women, Family and Community Development Minister Datuk Heng Seai Kie said this was proof that the programme had a positive impact in getting women to earn a higher income. "The target under the National Key Results Area (NKRA) is 4,000 entrepreneurs earning RM3,500 a month by December, but the government is hopeful the number will exceed the target." Heng was replying to a supplementary question from Datuk Kamarul Baharin Abbas (PKR-Telok Kemang) on the effectiveness of the 1Azam programme for women. She said 1Azam also saw 21,724 participants earning an additional income of more than RM200 a month, up to April. Of the number, 7,147 were earning an income of between RM200 and RM1,000 a month, while the remaining 14,577 earned more than RM1,000, she added. The 1Azam programme aimed to raise the economic standard of the low-income group by helping them to venture into business. The house also heard that those under the age of 40, especially the self employed, comprised the most people who sought help from the Credit Counselling and Debt Management Agency. Deputy Finance Minister Datuk Dr Awang Adek Hussin said as of August, 196,014 people had sought help from the agency. "Of the figure, 77,994 people received assistance in restructuring or rescheduling of their loans to save them from bankruptcy. Some 2,316 have recovered from their predicament," said Awang Adek to Datuk Md Sirat Abu (BN-Bukit Katil). He said efforts were under way by the agency, as well as some banks, to have debt management courses at schools so youths would not fall into the debt trap once they started working. KUCHING: Agensi Kaunseling dan Pengurusan Kredit (AKPK) kini memberi pilihan kepada rakyat negara ini yang tidak dapat menghadiri program ‘Power – Mengurus Wang Ringgit Anda’ anjuran agensi itu agar melakukannya secara atas talian. Ketua Pegawai Eksekutif (CEO) AKPK Koid Swee Lian berkata pilihan itu adalah untuk mereka yang sibuk dengan urusan harian sehingga tidak mempunyai masa untuk menghadiri sesi taklimat ‘Power’ selama empat jam diadakan di pejabat AKPK di seluruh negara. “Pelanggan hanya perlu melayari laman sesawang power.akpk.org.my. Kursus ‘Power’ secara atas talian sesuai kepada mereka yang sibuk, tinggal jauh dari pejabat-pejabat AKPK dan mahu menjimatkan masa kerana secara atas talian mereka hanya perlu meluangkan masa selama dua jam sehingga sesi selesai. “Selepas selesai sesi kursus atas talian, pelanggan kami boleh mencetak sijil penyertaan untuk simpanan mereka dan sijil itu adalah serupa dengan yang diberikan kepada pelanggan yang menghadiri taklimat ‘Power’ di pejabat-pejabat AKPK di seluruh negara,” jelasnya pada sidang media di pejabat AKPK Negeri, di bangunan Bank Negara Cawangan Sarawak di sini semalam. Beliau berkata peserta kursus ‘Power’ AKPK harus menyimpan sijil penyertaan masing-masing untuk digunakan pada masa akan datang sekiranya mahu membuat pinjaman peribadi atau pinjaman sewa beli kerana ia antara syarat ditetapkan Bank Negara bagi tujuan itu. Sementara itu Ketua Kaunselor Kredit AKPK Wilayah Sarawak Marlene Nichol berkata setiap Rabu dan Jumaat, taklimat umum mengenai peranan dan perkhidmatan ditawarkan agensi itu diadakan di pejabat agensi itu di Tingkat 1, Bangunan Bank Negara Malaysia di Jalan Satok dekat sini. Bagi taklimat pada Rabu ia akan diadakan pada jam 2.30 petang manakala untuk hari Jumaat sesi taklimat akan bermula jam 10 pagi dan dibuka kepada orang ramai, jelasnya. “Bagi program ‘Power’ ia akan diadakan setiap Rabu dari jam 9 pagi hingga 1 petang dan peserta perlu mendaftar terlebih dahulu untuk menyertai program ini. Peserta akan diberikan sijil penyertaan selepas program itu. “Selain itu di AKPK Kuching, Program Pengurusan Kredit (DPM) pula diadakan pada Isnin, Selasa dan Khamis. “Peserta DPM perlu mendaftar atau membuat temu janji dengan menghubungi 082-414910,” katanya. KUCHING: Married people are by far the largest group of people who have sought help from the Credit Counselling and Management Agency (AKPK). They constituted 77% or 58,831 out of 76,402 people who had enrolled in the agency’s debt management programme (DMP) from 2007 to August this year. Single individuals only made up 16.6% while divorcees and widows accounted for 4.6% and 1.8%, respectively. The figures released by the agency also showed that during the said period, there were more men — some 51,430, or 67.3% of them — who got into trouble with their finances than women. In terms of age, 85% of those who had sought help were 30 years and above. Salary-wise, those who earned less than RM24,000 annually seemed to be the ones who needed help the most. 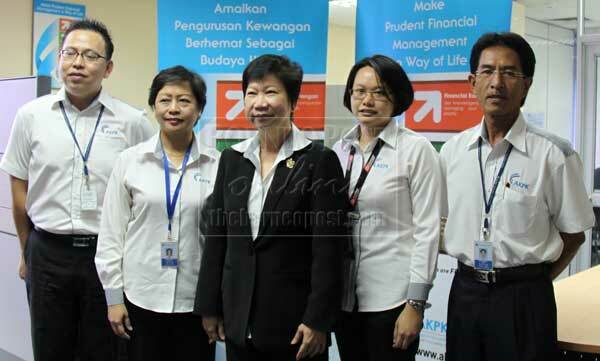 AKPK was set up by Bank Negara to provide the public with advice, consultation and services needed to tackle financial and credit problems as well as educate them on how to manage their finances more prudently. As of Aug 31 this year, 196,014 people had sought the assistance of AKPK with 80,664 of them enrolled in the DMP, which aims to help borrowers improve their financial standing. Of those enrolled in the DMP, 78.28% faced a combination of financial difficulties, particularly in their housing loans, hire purchases and credit cards. Those having credit card issues alone constituted 8.3% followed by housing loans (2.2%) and hire purchases (1.64%). Among their main reasons for defaulting on servicing debts were poor financial planning (25%), high medical expenses (22%), business failures or slowdowns (15%), loss of control on usage of credit cards (13%), and loss of jobs or retrenchments (10%). JOHOR BAHRU 22 Okt. - Sebanyak 198,870 orang telah mendapatkan khidmat pengurusan kewangan daripada Agensi Kaunseling dan Pengurusan Kredit (AKPK) sejak ia mula ditubuhkan pada 2006 hingga bulan lalu. Ketua Pegawai Eksekutifnya, Koid Swee Lian berkata, daripada jumlah itu, seramai 81,596 orang telah dibantu oleh agensi berkenaan menerusi Program Pengurusan Kredit. Berdasarkan statistik yang dikumpul, masalah penggunaan kad kredit dan pinjaman peribadi masih menjadi faktor utama kegagalan individu membayar balik pinjaman. Justeru, Program Pengurusan Kredit ini membantu peminjam memulakan bajet yang menjadi panduan dalam menunaikan pembayaran hutang dan perbelanjaan hidup, sekali gus mengurangkan pinjaman tidak berbayar dan berlakunya rampasan rumah," katanya dalam sidang akhbar di sini hari ini. Yang turut hadir Ketua AKPK Cawangan Johor, Mohd. Fairuz Mohamed. Swee Lian berkata, antara faktor kegagalan peminjam membayar balik pinjaman termasuk disebabkan perancangan kewangan yang lemah, berbelanja melampaui kemampuan, kegagalan perniagaan, kehilangan pekerjaan dan masalah kesihatan. Menurutnya, agensi berkenaan turut menawarkan Program Pendidikan Kewangan bertujuan memupuk tabiat meminjam secara lebih bijak dan pada masa sama menggalakkan budaya pembayaran semula pinjaman secara konsisten dan teratur. Orang ramai yang ingin mendapatkan khidmat nasihat AKPK boleh menghubungi talian bebas tol 1-800-88-2575 atau melayari laman web www.akpk.org.my. Seramai 2,830 individu tampil mendapatkan khidmat Agensi Kaunseling dan Pengurusan Kredit (AKPK) Johor sejak awal tahun ini, menjadikan negeri ini antara cawangan paling sibuk membantu dalam pengurusan kewangan. Daripada jumlah itu, seramai 1,324 peminjam dirujukkan kepada Program Pengurusan Hutang (DMP) yang dikendalikan AKPK sebagai ‘orang tengah’ bagi membantu individu terbabit mengurus kewangan mereka dan melunaskan hutang ditanggung. Walaupun jumlah kes yang dirujuk kepada program itu mencatatkan penurunan, masalah penggunaan kad kredit dan pinjaman peribadi masih menjadi faktor utama kegagalan individu membayar balik pinjaman. Ketua Pegawai Eksekutif AKPK, Koid Swee Lian, berkata agensi itu kini dalam usaha meningkatkan tahap kesedaran masyarakat terhadap fungsi dan peranan sebenarnya yang membantu memberi khidmat kaunseling dan pengurusan wang. Katanya, selain DMP, AKPK turut melaksanakan Program Pengurusan Wang Ringgit (POWER) secara percuma iaitu pendidikan kewangan praktikal bagi memberi pengetahuan asas dan cara pengurusan kewangan yang sewajarnya. “AKPK menawarkan tiga perkhidmatan utama iaitu kaunseling kewangan, DMP dan pendidikan kewangan yang mungkin masih ramai keliru dan tidak memahami sepenuhnya peranan kami. “Bukan itu saja, kami menyediakan portal pembelajaran dalam talian dengan hanya melayari power.akpk.org.my dan sesuai bagi golongan muda terutama pelajar institusi pengajian tinggi (IPT),” katanya. Sementara itu, Ketua AKPK Cawangan Johor, Mohd Fairuz Mohamed kapi, berkata, orang ramai boleh mengunjungi pejabat AKPK Johor yang terletak di Bank negara Malaysia (BNM) dekat Jalan Bukit Timbalan, di sini, untuk maklumat lanjut. “Selain itu, kami juga membuka pejabat AKPK di Batu Pahat yang terletak di Bangunan AmBank, Jalan Rahmat sejak 2008 dan orang ramai boleh datang mendapatkan perkhidmatan setiap Khamis dan Jumaat minggu kedua setiap bulan. “AKPK Johor sedang berusaha meningkatkan kesedaran masyarakat selain menjalin kerjasama dengan Universiti Teknologi Malaysia (UTM) bagi memberi pendedahan awal kepada mahasiswa,” katanya. KUALA LUMPUR (Oct 24, 2012):The problem of Malaysians running up debts because of their weddings has become serious, Nanyang Siang Pau and Oriental Daily News reported yesterday. Credit Counselling and Debt Management Agency (AKPK) chief executive officer Koid Swee Lian advised young couples who are planning their weddings to consult the agency for advice and guidance. She said the agency found that it has become increasingly common for Malaysians to take loans or depend on their credit cards to pay for their marriage expenses. The money is usually spent on wedding receptions or infant formula when the first-born arrives. She said many factors cause married couples to run into debt, chief among them being the hefty wedding bill. She disclosed that a would-be-bride once sought the agency's help because her mother was asking the would-be-groom for RM20,000 in dowry. "We also found parents taking out their EPF to help pay for their children's weddings. This is not encouraged," she said. 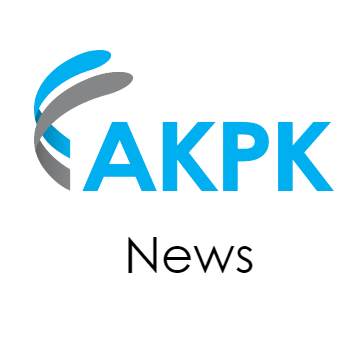 According to statistics, from 2006 to September this year, a total of 198,870 people had sought AKPK's help and 81,596 of them are enrolled in the agency's debt management programme.